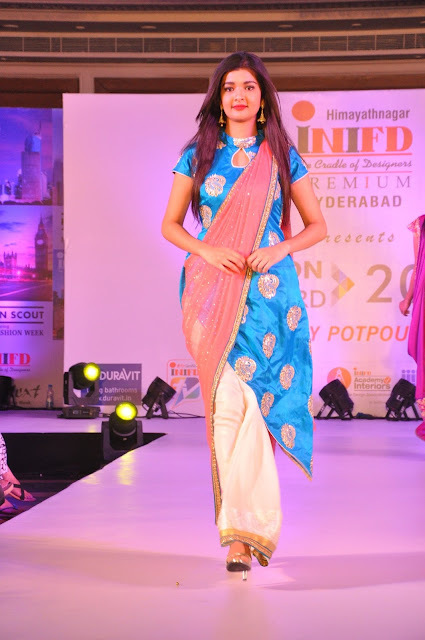 Its annual fashion phenomenon held with a sparkling concept at ITC KAKTIYA, Begumpet, Hyderabad. 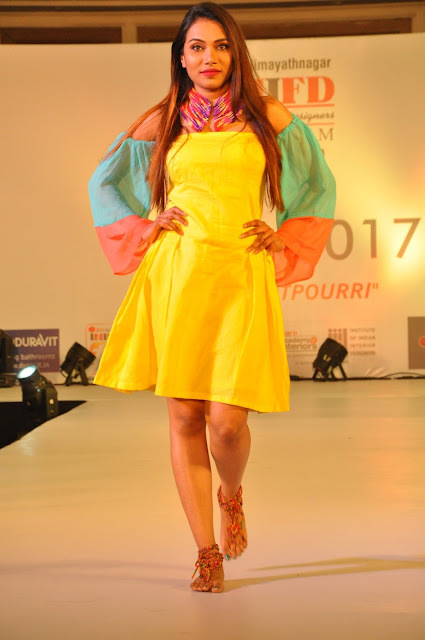 On the occasion, sultry models, sporting Fashion apparel designed by young designers, set the ramp on fire. 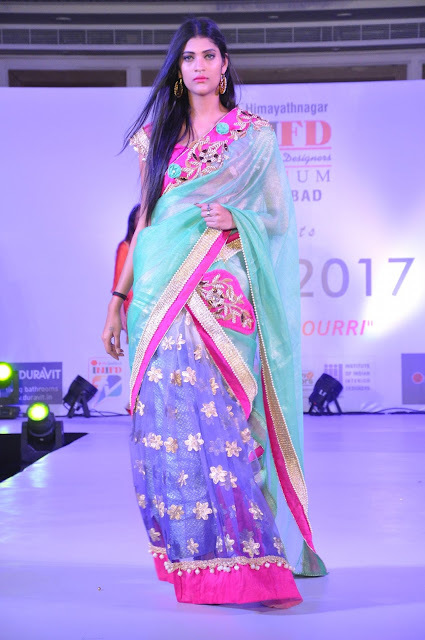 Collections Showcased by the students as they step into the world of fashion, glitz and glamour graduating from INIFD-Himayatnagar, Hyderabad. The show started with the collections of final and second year students of Fashion Design. “As the designer students researched on the concepts they came with many innovative techniques of creating new stylish designs” said by Mr Sanjay- Center director.Associate sponsorship is by Vivek Photography, The show is powered by Vishal Sawant Fashion Associates. 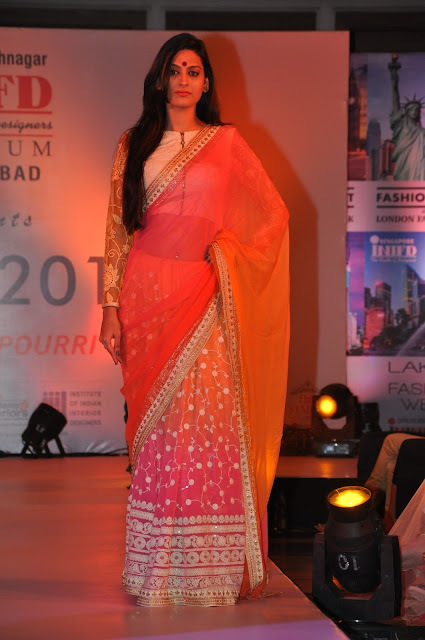 3) RADHA JHAWAR - “LINEN MANIA” COLLECTION OF SUNNY TO BRIGHTEN YOU UP. 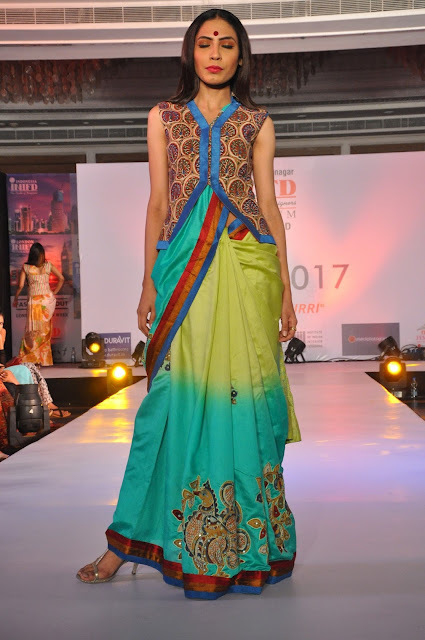 4) RAVALI & REEMA - “JACKETS REMIXED” COLLECTION OF TRADITIONAL EMBROIDERY AND WEAVING MAGIC. 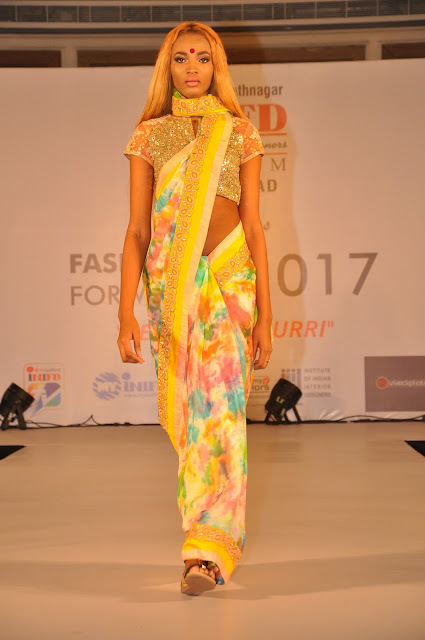 10)SHWETA VERMA - “GOLDEN GIRL” COLLECTION OF COLOURS & MAGIC OF GOLD. 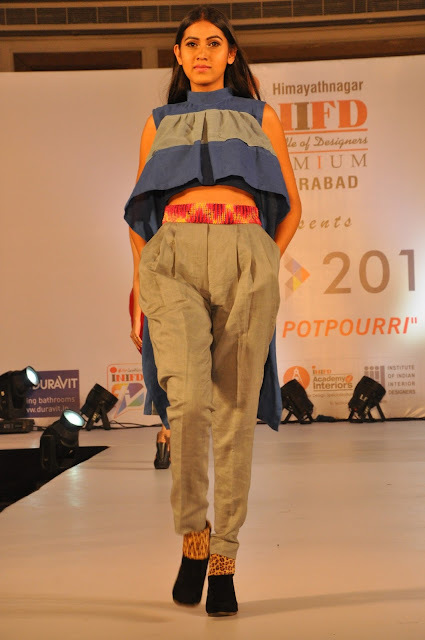 11) SHWETA BHARTI – INDIGO ON THE GO COLLECTION OF REFRESHING INDIGO WITH INDO WESTERN ENSEMBLE. 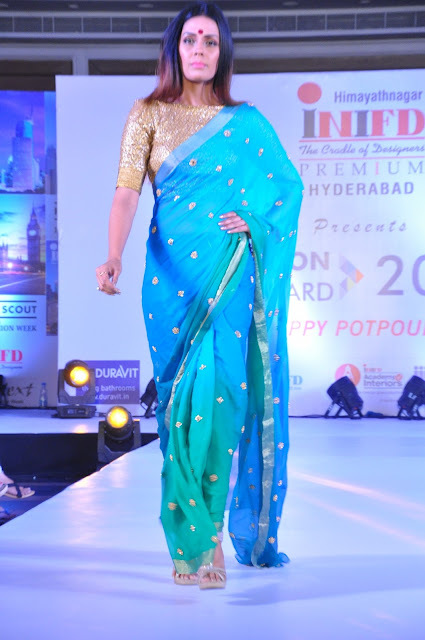 13) BHAGYASHREE – “ICY BLUES” COLLECTION OF SILK, SATIN & NET WOVEN TOGETHER TO GIVE A GIRLY CHARM. 14) KEERTANA & HARSHA – “WINDY WHISPERS” COLLECTION OF SUMMER ROMANCE IN THE AIR. 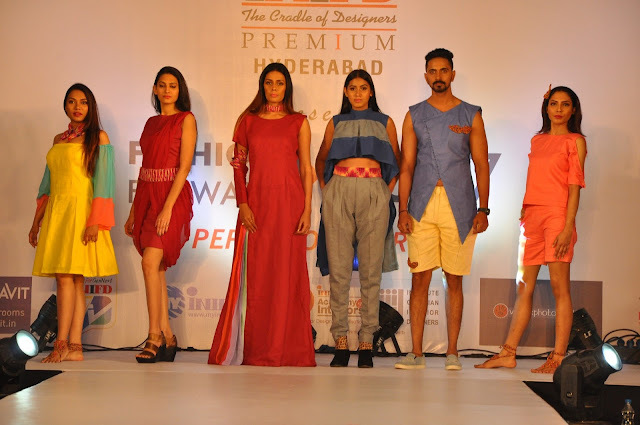 15) LICHI & KOMAL - SERENE SEA” COLLECTION OF RESORT WEAR WITH FRESHNESS & MYSTERIES OF THE SEA. 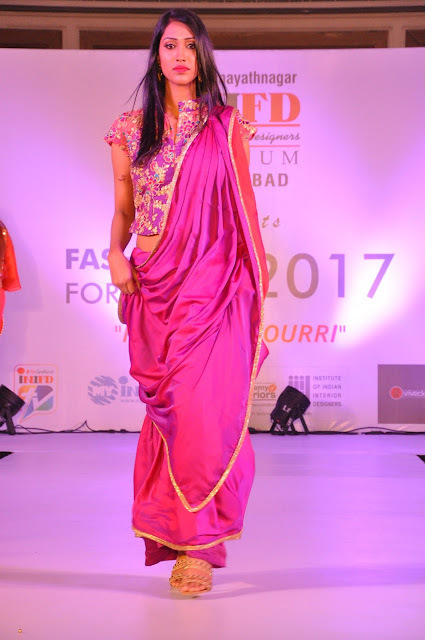 16) SAVI & SRAVANI – “ACROMATIC MAGIC” COLLECTION OF CREATING MAGIC WITH THEIR CLUB WEAR. 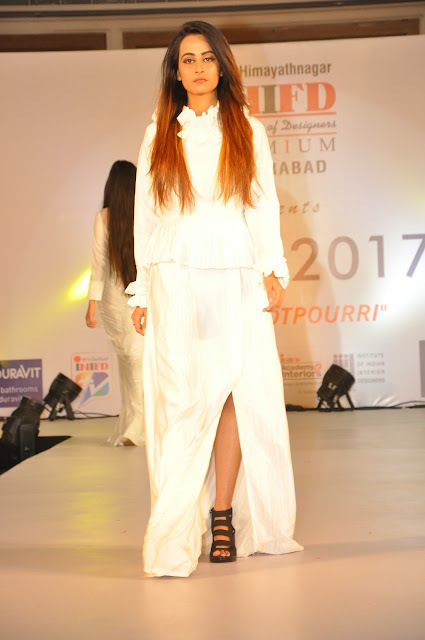 17) SALONI & ASMA, NIKITA – “AVANTH GARDE” COLLECTION OF NON TEXTILE MADE WITH GARBAGE BAGS. (TO KEEP SURROUNDINGS & CITY CLEAN BY USING GARBAGE BAGS AND NOT TO LITTER).